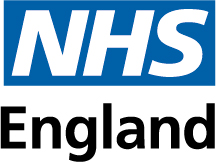 NHS England and NHS Improvement will join forces with the Florence Nightingale Foundation to celebrate NHS70, and ensure the very best talents in nursing and midwifery are given the chance to shape the future of the service. As part of the NHS 70th birthday celebrations, NHS England has committed funding for 70 London nurses to become Florence Nightingale Foundation nurses and midwives. The Florence Nightingale Foundation, a charity recognised for providing bespoke scholarships to the best in nursing and midwifery across the UK, aims to inspire and nurture the 70 chosen professionals through their careers. Working in partnership with health and care services, the foundation supports professionals, giving them all the tools to make a positive impact on patient care, policy and practice in their chosen field. “Since 1929, The Florence Nightingale Foundation has been committed to advancing the study of nursing and midwifery practice, promoting excellence and preparing nurses and midwives to follow in the footsteps of its namesake, to provide the best possible care to patients across the UK,” she said. The 70 candidates will apply through a simple process and chosen by a panel including Florence Nightingale Foundation, NHS Improvement and NHS England senior nurses with the first cohort of nurses beginning their work with the foundation in November 2018. Interested nurses and midwives can apply for the programme via the Florence Nightingale Foundation application process. This will be advertised on www.florence-nightingale-foundation.org.uk in July 2018.